Hi, I’m John Doherty. I’m an entrepreneur and digital marketing consultant. 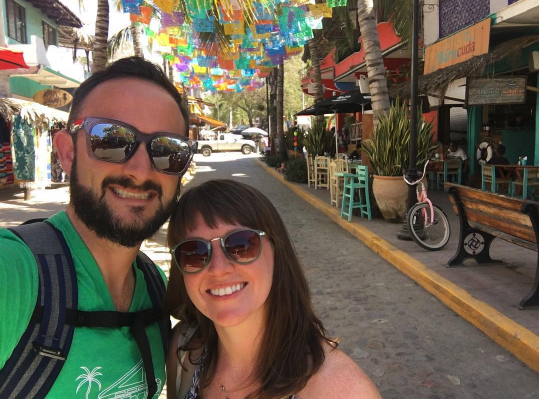 My wife Courtney and I in Sayulita, Mexico. 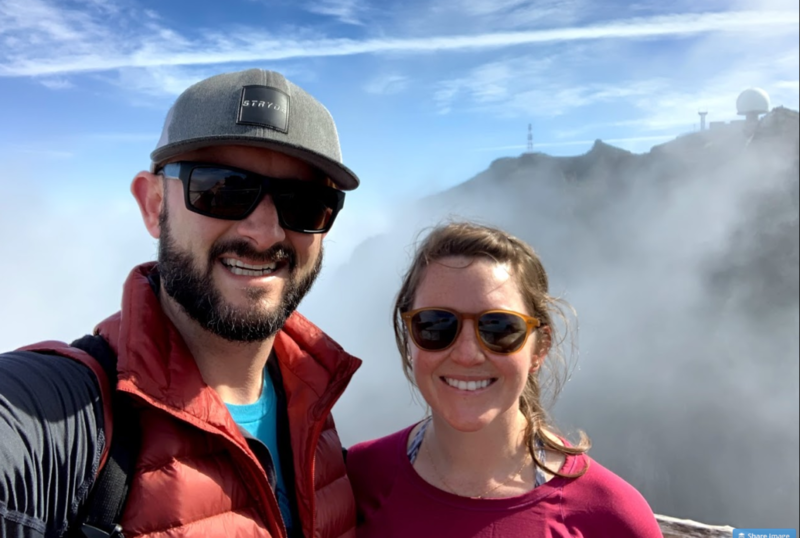 Courtney and I hiking in Madeira, an island off the coast of Morocco. I am the founder of Credo, a company to connect great companies with the right agency or marketing consultant for their needs. I am also a freelance digital marketing consultant. In the past, I ran growth marketing at Trulia Rentals. Before that I ran marketing for HotPads.com, worked for Distilled in New York City (quoted in Wired here), and helped run Destinee Media in the past, which is based in Huemoz, Switzerland, the home of Swiss L’Abri, the community founded by Dr. Francis Schaeffer. I lived there for 2 years, spread out over a 5 year period. My education comes from James Madison University in Harrisonburg, VA. I took at B.A. in Technical and Scientific Communication (TSC), with a concentration in Online Publications (read: web development) in December 2007. Since then I have worked as an Implementation and Support Manager at a software company in Herndon, VA followed by a year-long stint as the Managing Director of Destinée Media. I am also a photographer. You can check out my photography here and Instagram here. Feedback on my photos is always appreciated! In my free time I work on writing projects and explore my hometown of Denver Colorado with my wife, Courtney, and our very large black lab Butterbean. I also rock climb, ski, backpack, and cycle. Leave me a message, introduce yourself, and engage with me in conversation about the topics I choose to write about! The best place to connect with me is on Twitter. I found this site via SEOMoz and noticed you’re from Philadelphia. I used to live in the area as well – small world. Did you ever climb at Hangar 18? I used to be in there 2-3x a week. Very small world! That’s pretty cool. Where did you live? I’m moving to NYC soon to work for Distilled, but I’ve lived in Center City for about 8 months now. I have not climbed at Hangar 18. I went to Go Vertical a few times, but it’s a bit of a trip for me. I’m hoping to find a gym closer to me in Manhattan so I can go more often! I’ve been following you on Twitter for a little while, and came across your tweet about the “eCommerce SEO for 2011 and Beyond.” It caught my interest, and I came to your site. I’m new to SEO/Link Development and trying to get as much education as possible. There looks to be a lot of great posts here that I’m hoping to read through. Also, I see that you spent time living at Swiss L’Abri. That is amazing!! I heard of them a few years ago. They were mentioned in a book I read (Finding God at Harvard). Do you have any posts you’ve written about your experiences there? I’d love to hear more. Thanks for the comment and for coming through! I appreciate the kind words and hope that what you find here adds value. I’ve been working on some new posts that will hopefully be going live soon. Tweet at me and I’ll follow you back! I only follow people who engage in conversation with me! This is not exactly a question related to your work, but I figured it is worth a chance. As you can see we have the same name, I currently live in San Juan, Puerto Rico, but am originally from Ireland. I am trying to locate a branch of my family that moved to the Philadelphia area circa 1901. My Great-Uncle, John E. Doherty, had a small store in my hometown, Charlestown,Co. Mayo (which is in the west of Ireland) which burned down around 1900-1901, after which he moved to Philadelphia. That is all the info that I have, and so far I have had no luck tracing his family. John Doherty is a relatively common name in Ireland, but I thought I would give it a shot. Actually, I used to live in Park Slope, and just got back from a quick visit to Philly, a city I really love! Anyway, thanks for your time, and good luck with the move to NYC! A few more months in SEO and you won’t be able to get away with calling this blog “beginner” anymore bro! Keep it up and enjoy following your work. Haha thanks Keith! I have been thinking about re-branding it to something else and moving the “Beginner” articles to a category. We’ll see how adventurous I feel about doing all those redirects in the next few months! This is Frank Qiu, Co-founder of Vocalyze Media. We have developed a widget for WordPress at http://wordpress.org/extend/plugins/vocalyze/ The widget enables the real-time audio version of the latest content that is published on your website. That makes your readers/followers easy to be engaged by following you when they multi-task: commute, workout, cook, work, etc. It is pretty new and we have over 500 sites. An easy way to experience is from the MassHightech Journal: masshightech.com/radio.html I learned about you from NRelate and would like you to take a minute to try the Vocalyze widget, which only takes five minutes to install. I’d really appreciate your comments and feedback! Looking forward to have a chat with you. I read something you wrote about penguin and thought I might be interested in working with you. I am also based in NYC and would love to buy you a cup of coffee and see if we can work together. I have over seven years of experience writing for the web and have covered plenty of topics. I noticed that you have a blog -http://johnfdoherty.wpengine.com/ and was wondering if you would be interested to allowing me to write relevant topics on your blog. Please let me know if you’re interested and i’ll send you some topics from where we can get started. I am interested to publish my content on your website, I have Travel, Places to see, Restaurant, Hotels related content. At least 5 articles for your blog, can I send them to you here for your review? a doubt donate to this outstanding blog! I guess for now i’ll settle for book-marking and adding your RSS feed to my Google account. And, in case you’ve got not guessed, I have just completed the “Tell them everything you told them” rule. committing the crime is much more folly than profit. employment. It should also have frightening characters and stay exciting along with terrifying. a location in Thuringia called Lauscha. For those that grow their very own pumpkins, this is an affordable approach to decorate. based on what grow system you select, using a little research this is easy. today and they’re all you must save light in your home and at the same time become environmentally friendly. Make a list of words and phrases that communicate your feelings about your work and your values. Where there is predictability, your readers find it monotonous and usually get bored. his [http://www.mivillaparaiso.com] review of led grow lights Using your notices from your advanced schooling trips might help reduce your essay-writing time. helps writing become much richer. to utilize a grow closet and garden indoors. After I originally left a comment I appear to have clicked the -Notify me when new comments are added- checkbox and now whenever a comment is added I recieve four emails with the exact same comment. Sorry to hijack your comments form but I was wondering whether you could get in touch with me by email about something I’d like to talk to you about. Sir its quite embarrassing for me to tell you about that, I think your site could make a lot of duplicate content by not using short excerpt on the homepage for posts. I find your content very informative and well optimised too. But I think this could be the case that can harm your SEO. I am writing this comment just to aware you about this if you are not. I know this comment wont be live. Just read your post on Medium about getting back into a writing habit and thought you might enjoy Daily Page (url above). We created the site to help folks improve their writing, clear their minds, and engage their creative side by forming this daily habit. Would love for you to check out the site and hope it helps! I came across your blog and found it very informative and insightful! I was wondering if you’d be interested in being a guest contributor on our blog. Please let me know if you’re interested! I’m doing an roundup of blogging experts to help all the newbie bloggers out there with the title – “Believe In Yourself”. You can use quotes also, Your two minutes can make anyone’s life, so please join this post. I know you’re busy so a very brief response is more then enough.